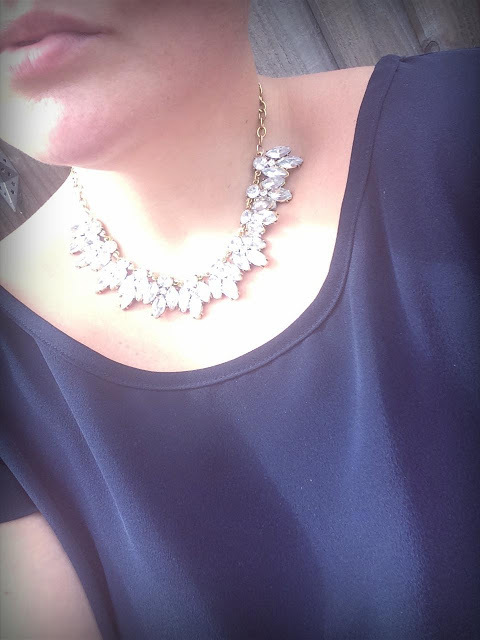 It's feeling like jewellery week here on the blog! I've got another couple of gorgeous pieces for you today from online store Guddi owned by the lovely Inga. 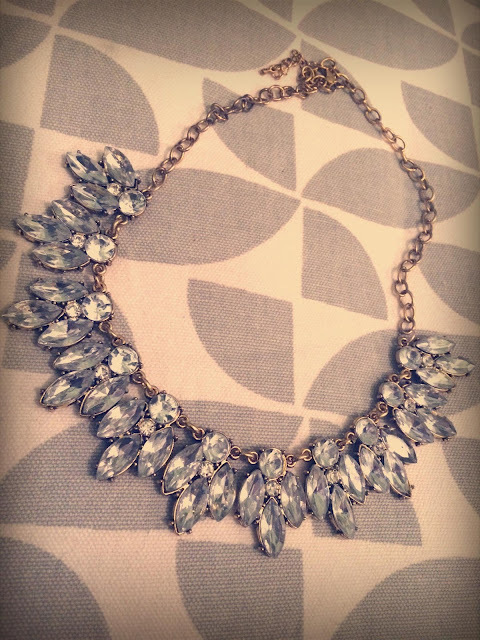 Packed full of an eclectic mix of gorgeous costume jewellery, Guddi has great choice at affordable prices. I was very kindly sent two beautiful pieces from the collection. The first is this classic crystal necklace, easy to wear, goes with most things and is just so pretty. The crystals are set on a gold tone chain with an extender should you need it to be a bit larger. This is sadly no longer available on the website but you can find similar here. The second item is this almost art deco kinda feel necklace and earring set. 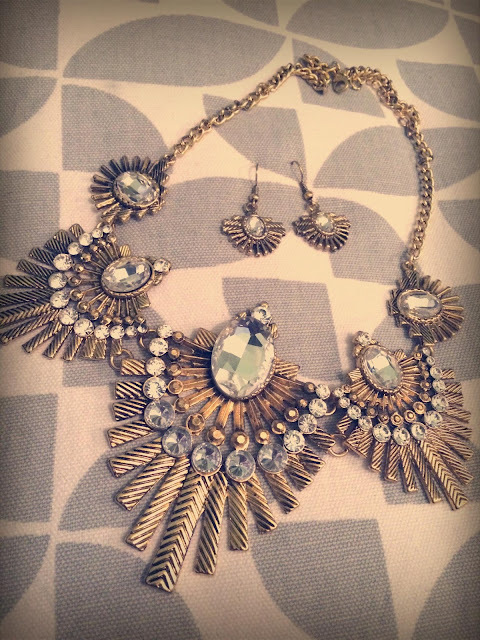 The chunky necklace and small and pretty matching earrings are perfect for adding a bit of drama to any outfit. 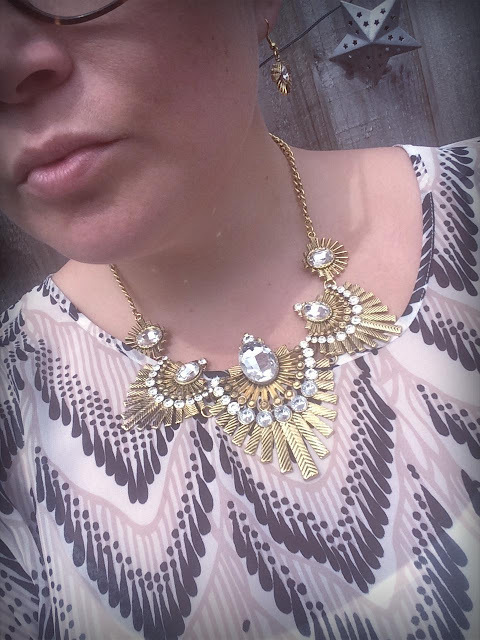 I teamed mine with this gorgeous kaftan with echoes the shape of the necklace.